You’ve come under criminal investigation. But, what to do? Where to go? Who to contact? 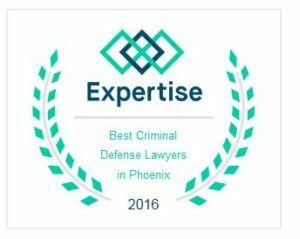 Start the first step – contact The Law Office of David Eisenberg; a reputable attorney experienced in the defense of criminal cases. My firm is a very hands-on operation. I specialize in white-collar criminal investigations, trials and appeals. I am the attorney on every single case, and I take the time and make the effort to enlist my clients in developing a sound strategy to defend pre-charge investigations and post-charge allegations of wrong-doing. My experience spans many years as both a prosecutor and defense attorney, so I am very aware of what prosecutors look for in a case and, therefore, where the defenses lie. I take much pride in being thorough and being prepared, since both these traits more than any other get the best results. I do have excellent, professional in-house paralegal help and consult with the best forensic accountants and CPAs, white collar investigators, tax specialists, and other experts in the industry or commercial operation in which the case takes place.